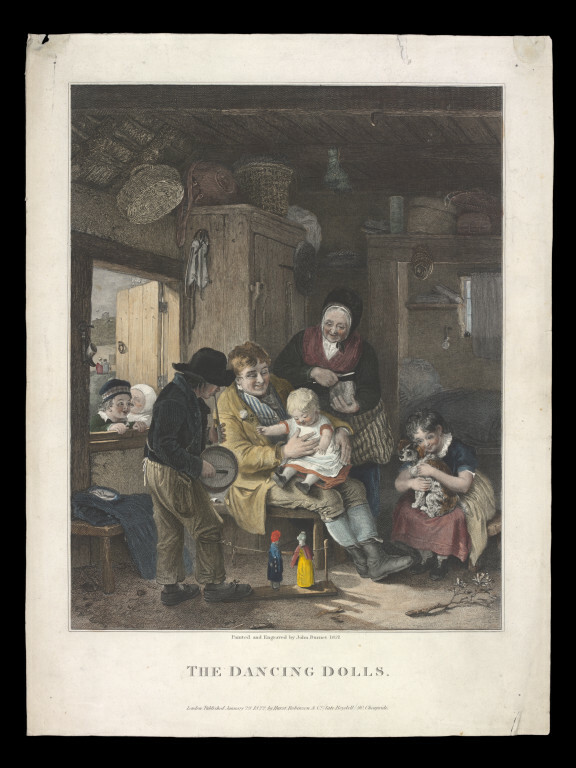 Print depicting a dancing marionette performance being held in a family home and entitled 'The Dancing Dolls'. Published in London by Hurst, Robinson & Co.
Hand coloured engraving depicting a boy (the puppeteer) playing a drum and a pipe whilst making two marionettes tied to a cord dance by using his knee to move the cord back and forth. The performance takes place in the room of a family home. An old woman, a man with a baby on his lap and a young girl holding a dog watch the performance from inside the room. Two small children watch from the open window. 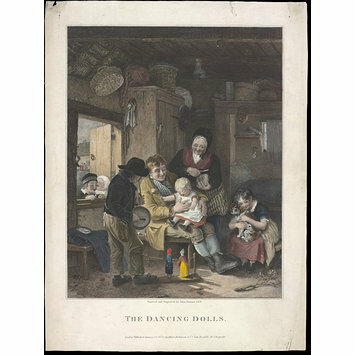 Print depicting a dancing marionette performance being held in a family home and entitled 'The Dancing Dolls'. 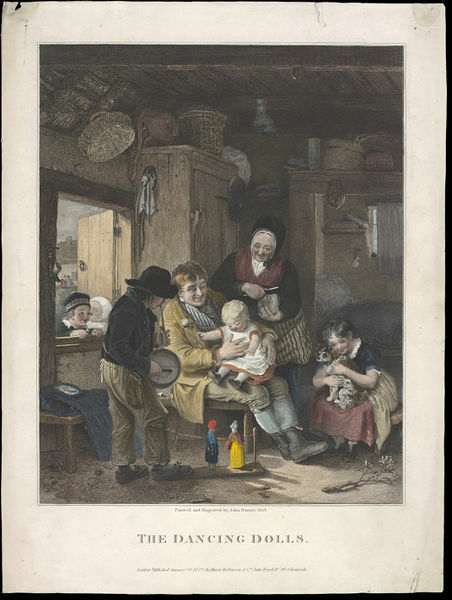 Published in London by Hurst, Robinson & Co. on 29th January 1822, George Speaight Punch & Judy Collection.